Brenda and I are the masters of event planning, or so we like to think. But if you're not careful great party planning can way heavily on the purse strings. 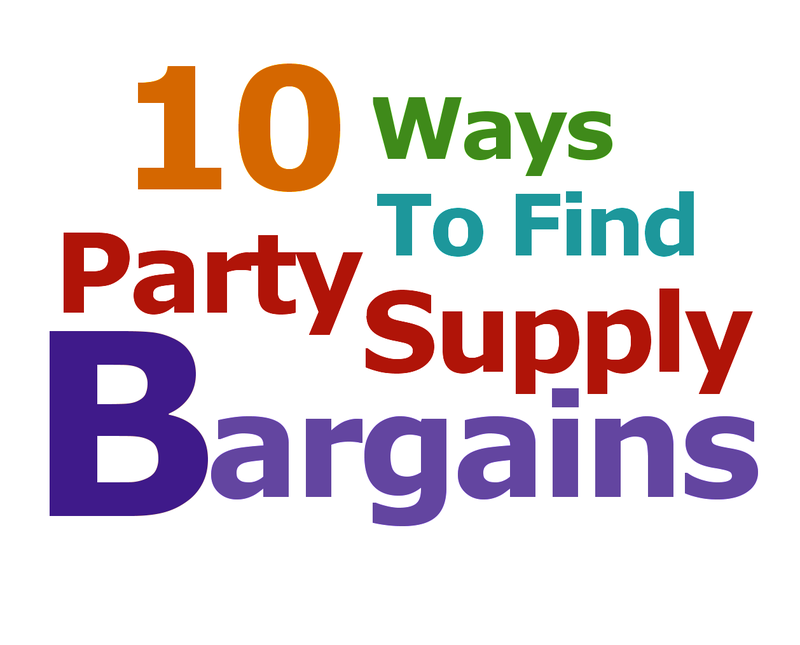 Your best bet is to stock party supplies for all your future events once the bargain season rolls in. And guess what? It just did. So lets talk about how to find those bargains shall we? Here is a list of top tips to find great bargains right in your neighborhood shopping district. Make a list of all the supplies you will need for your next party, gathering and reunion event. Take time now to apply for store discount cards and collect coupon codes. Save codes and bar coded coupons on your mobile device. You'll save up to 50% on your shopping bill. Grab the Sunday newspaper and peruse the store ad section. Compare prices and circle lowest prices. Cut out coupons and organize them by store. Ask store clerks to direct you to the clearance bins. Shop all dollar stores before shopping at large discount Marts. Join shopping clubs and buy supplies in bulk. Share and trade the booty with family. friends and neighbors. Remember that long trips to remote shopping districts may help you save a few extra dollars on the shopping bill itself, but will the gas, mileage and wear and tear on your vehicle make it worth venturing out?. That said, consider shopping for supplies online at stores that offer coupon code discounts, frequent shopper credits and free shipping.